Glen Innes is a parish and town on the Northern Tablelands, in the New England region of New South Wales, Australia. It is the centre of the Glen Innes Severn Shire Council. The town is located at the intersection of the New England Highway and the Gwydir Highway. At the 2011 census, Glen Innes had a population of 5,173. Glen Innes is a lovely historical town on the New England Highway in NSW and only about 95 kilometres form Armidale. We stopped for a look around during a recent caravan trip and found a beautiful park about a block from the main street to enjoy our lunch. 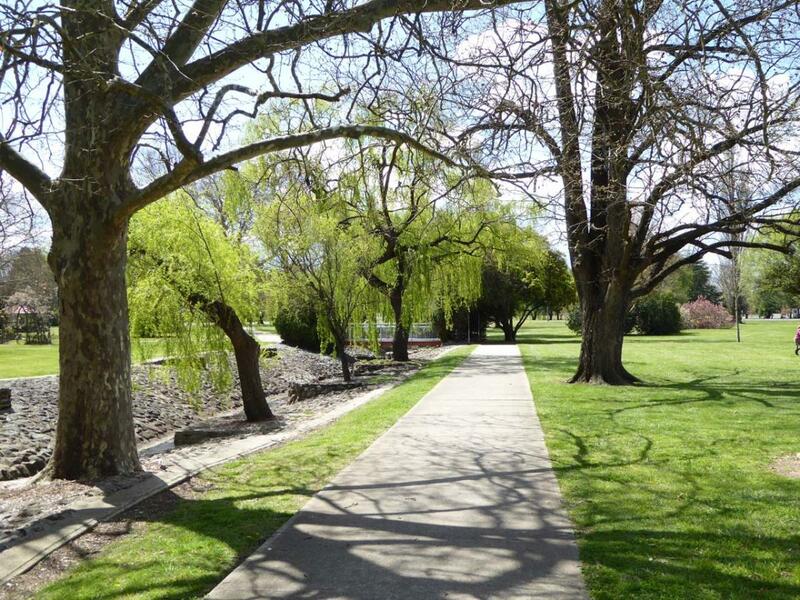 This park can be found on East Avenue and is full of beautiful gardens, shaded picnic tables, Children’s play equipment, toilet blocks, lots of walking tracks, lots of trees. It was beautifully maintained. There are several Caravan Parks in town including Glen Rest Tourist Park, Fossickers Caravan Park (Top Parks), and an older looking park called Poplar Caravan Park. We also called into Craigieburn Cottages – down a dirt road and spoke to the owners. This used to be a very busy caravan park which had been shut for a few years and they were in the process of opening the park again. Not sure if this has happened but their lovely little cottages have always been for rent. Fossicker caravan park is situated in town within walking distance to the RSL Cub and convenient located close to shops. have you been to Glen Innes? Explore Glen Innes with RvTrips and find out where to stay, what to do and what to see. Helping caravan, motorhome and camper owners have a great holiday.